Here at LSQ, we love stories. So for this post, I thought I’d get a little meta and talk about a book of stories, made for stories. Let me explain. It’s called The Language of Thorns, by Leigh Bardugo, and it’s a collection of fairy tales set in her “Grishaverse.” This world is comprised of Ravka and its neighboring countries. Each story is presented as a folktale of differing origins; three from Ravka, one from Kerch, one from the nation across the sea from Ravka called Novyi Zem, and one from Ravka’s northern neighbor, Fjerda. You don’t need to have read any of the Grishaverse books to enjoy this collection, although I definitely recommend them. It’s fun to imagine the characters being told these tales, perhaps as bedtime stories or around a glowing hearth. Although these tales are set in another world, they’re very similar to some fairy tales we already know. It’s clear where Bardugo found her inspiration. But this book isn’t just a collection of rehashed fairy tales set in the Grishaverse. The author puts her own spin on them, which is what makes this collection a worthwhile read. “Ayama and the Thorn Wood”: A Zemeni tale. The story begins with a king abandoning his beastly son in a labyrinth under the kingdom. It’s a foolproof plan, until the beast breaks out of his prison and terrorizes the land. What’s a kingdom to do? That’s where Ayama comes in. She’s like a reverse Cinderella; her older sister is beautiful, yet kind to her, while her parents make Ayama sleep on the hard ground of the hearth because she’s plain and has a grating voice. Although they’ve trained Ayama to speak as little as possible, her voice is what saves her and her kingdom. She’s sent into the starry thorn wood to kill the beast, but instead vanquishes him by telling him the stories she was told as a child. Except her versions tell the truth, as only the truth can be spoken in the beast’s woods. I won’t spoil everything, but this tale shows how powerful speaking your truth can be. Fans of all things monstrous will especially enjoy this one. 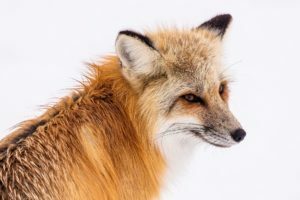 “The Too-Clever Fox”: A Ravkan tale about a fox named Koja who uses his wits to get out of any trap. One day a skillful hunter, rumored to have completely wiped out every forest in which he’s hunted, comes to the nearby village. To further add to the animals’ horror, he forces his sister to wear a grotesque cloak made from the pelts of his kills. Koja reassures his friends that he can get rid of the hunter, and sets his sights on the hunter’s sister, Sofiya, who seems to be miserable traveling with her brother. Koja and Sofiya come up with a plan to rid themselves of the hunter, but is this one trap the clever fox won’t be able to escape? This one has a bittersweet ending where everyone gets their just desserts. “The Witch of Duva”: Another Ravkan tale, a sort of mashup between Hansel and Gretel and the Gingerbread Man, with a good dose of women looking out for women mixed in. In Nadya’s village of Duva, girls go missing in the woods and are never found again. After her father’s marriage to a suspicious baker named Karina, Nadya’s home life becomes unbearable. Karina sends Nadya into the woods to check their animal traps, but instead Nadya follows the smell of burning sugar to a lit-up cottage in the woods, which is full of delicious food, along with an old woman and her pet bear cub. Nadya eats her fill, even though she knows she’ll probably end up in the old woman’s human-sized oven. Instead of becoming the witch’s midnight snack, however, she becomes her apprentice, and learns that every wish comes with a price. This story is equipped with a twist ending that I absolutely loved. 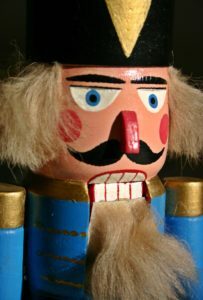 “The Soldier Prince”: A Kerch tale in which a toy maker, Droessen, gifts a nutcracker to a young girl named Clara in hopes of tricking her into marrying him. Rats, fairies, and sugar plums make appearances, but this is no standard Nutcracker story. Our true hero is the poor nutcracker himself, who comes to life when Clara whispers her desires to him. “Are you my prince? Are you my darling?” He gains an ally in a former enemy, the Rat King himself, who tells him that he was once a sugar mouse, and only became real when he wanted something for himself. Only through the power of his own will does he defeat the evil toymaker, but a nutcracker is still left behind at Clara’s house, one with more sinister desires. I can definitely picture little Kerch children being spooked with this tale during Nachtspell, which is what I assume is the Kerch version of Christmas. “When the Water Sang Fire”: A Fjerdan tale. Here we follow Ulla, a sildroher, or mermaid, who’s not like the rest. 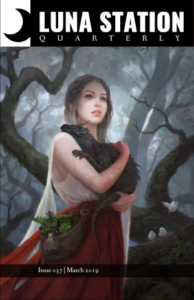 She has an odd appearance, and has powerful magic, which the sildroher wield in the form of song. Ulla and her best friend Signy become good friends with Raffe, the youngest prince, and are allowed to accompany him on the royals’ yearly trip to the human world. Raffe becomes desperate to find the best gift to present to the king, and only Ulla has the power and skill to fulfill his wish. This is a gripping and emotional Little Mermaid-turned-sea witch story which enchanted my mermaid-loving heart. There’s also a cameo fans of the Grisha trilogy will appreciate! If those brief snippets haven’t enticed you, then I should also inform you that the book itself is gorgeous. Each page features beautiful illustrations by Sara Kipin, who was our Year Seven cover artist! I found myself racing to the end of each story so I could see the full illustration, and I was not disappointed by any of them. The Language of Thorns was an absolute treat from start to finish, and I know it’ll be a book I revisit many times. If you choose to read it, I hope you’re as delighted by it as I was! Reading is the sole means by which we slip, involuntarily, often helplessly, into another’s skin, another’s voice, another’s soul.